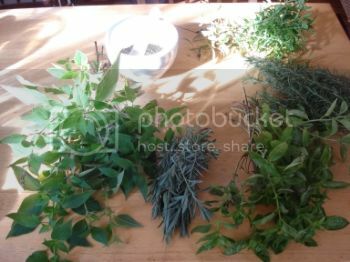 Here you will find some of the most Sacred Herbs of a Witch………..These herbs are considered the best in their field, and like most Herbs, many do more than just one job! Sage has many uses aside from the traditional medicinal uses. It is used by witches and Native Americans as smudging sticks for purifying their surroundings or objects. When used medicinally, it can relieve all kinds of symptoms. The dried leaves of the plant are used. It is a relaxant and is good for headaches and releases tension. Bathing in the tea is very soothing when you are sick from a cold or flue and when used as a rinse prevents dandruff and graying of hair. These sacred herbs can be taken as a tea or in pill form to relieve problems of the lungs and bronchial system. Valerian is one of the most beneficial sacred herbs known to man. It has incredible sedative properties and is very close to valium without chemical dependency or side effects. Although it smells a little like dirty feet, it has a pleasant taste with just a little sugar. It also cures insomnia without causing a drugging effect. Valerian is useful for tension, hysteria, nerves, headaches, insomnia and as a relaxant. Here is an sacred herbs that I only recently came across when a friend recommended some for David’s bronchitis. 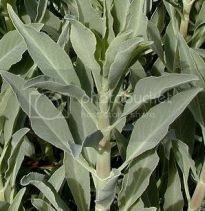 Mullein is good for all chest ailments, but, unlike other herbs, has the added punch of also being an antibacterial. Mullein is wonderful for pneumonia, colds, flu, cough, congestion, fluid in the lungs and all other chest ailments including asthma. Along with black pepper, it is the best thing to take during any illness and is found in most health food stores. Aside from being a pleasant tasting tea, peppermint also helps with the lungs and throat. These sacred herbs are a decongestant and keeps lungs healthy and in good working order. It is a nice tea to give to children and we substitute it for soda pop and juices that are too sugary for little ones. Children will ask for it by name! BASIL are sacred herbs used for peace and happiness at home. Basil is used to protect the home from evil. Basil is known as Albahaca, American Dittany, St. Joseph’s Wort, Sweet Basil, and the Witches Herb. Basil is considered masculine, associated with the Planet Mars and the element of Fire. An herb for money and success, a happy family, and a peaceful home, it drives away the Evil Eye. ROSEMARY is a powerful guardian sacred herbs, and a protector of woman. This wonderful herb is widely used to bring good dreams, keep marriage faithful and the home peaceful, and for brewing up cleansing and beautifying baths. Rosemary is also known as Compass Weed, Dew of the Sea, Elf Leaf, Guardrobe, Incensier, Polar Plant, and Sea Dew. Rosemary is considered masculine, and is associated with the Sun and the element of Fire. THYME is lucky in two ways. Thyme can bring peace of mind while sleeping and it can protect you money. Thyme is also known as Common Thyme and Garden Thyme. Thyme is considered feminine, and is associated with the planet Mars and the element of Fire. NUTMEG is used to bring good luck in games of chance. Nutmeg sacred herbs are considered masculine, and is associated with the planet Jupiter and the element of Fire. CLOVES are used to draw friendship and money. Cloves are considered masculine, and are associated with the planet Jupiter and the element of Fire. ALLSPICE is a wonderful spice that is used magically for money-drawing, business success, and to relieve mental tension. Allspice is considered masculine, and is associated with the planet Mars and the element of Fire. BAY LEAVES are also known as Baie, Bay Laurel, Bay Tree, Daphne, Greecian Laurel, & Sweet Bay. Bay leaves are used for protection and to avoid being jinxed or hexed, especially if you are doing a job on someone else. DANDELION can be drank as a tea or carried in a bag to enhance psychic dreams and second sight. LAVENDER FLOWERS are a sweet-smelling herb, used to promote passion, romance, harmony, friendship, and cooperation with a lover. CHAMOMILE FLOWERS are widely considered to be a Lucky herb, an herb used in gambling spells and washes, and also an herb for cleansing, un-hexing and uncrossing. MUGWORT is burned and inhaled for psychic abilities and also made into an Infusion to wash amulets and crystals. DAMIANA LEAVES are used to draw a new lover, to intensify sexual passion, or to bring back a straying lover. I hope that you enjoyed reading about the Herbs. 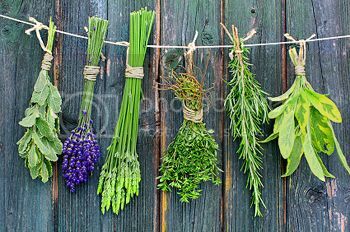 My name is Brandi, otherwise known as IsabellaNightShade, and I have been studying Herbs & Herbology for over 8 years now. Not only do I study the Magickal side of the Herbs but the Medicinal as well. I myself write articles and teach Herbology Classes, as well as other classes have to do with Wicca, Magick, Spells, Tarot, Kabbalah, and many others. You can find me on facebook at www.Facebook.com/ADropOfCraft, as well as www.Facebook.com/TheHerbalGreenhouse. I also run 2 Etsy Stores, sell on eBay, and run 2 websites. For more information you will find all my Social Media Links under either Facebook page, in the ‘Notes’ section. BLESSED BE! !